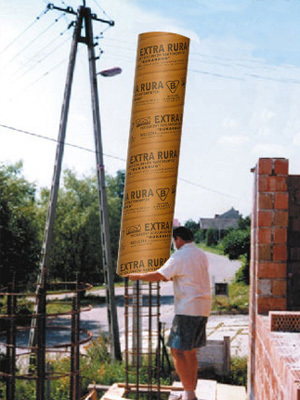 Put the cardboard tube on the prepared reinforcement. 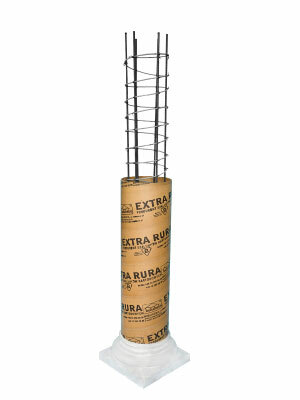 It is important to place the tube gently, otherwise the reinforcement can damage the inside ply. 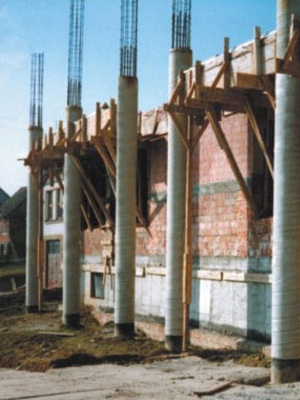 Pillars with removed cardboard tubes. 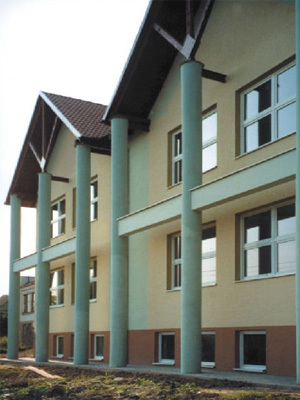 Elevation with pillars made of cardboard tubes.